Are you familiar with the saying if a great body came in a bottle everyone would have one? 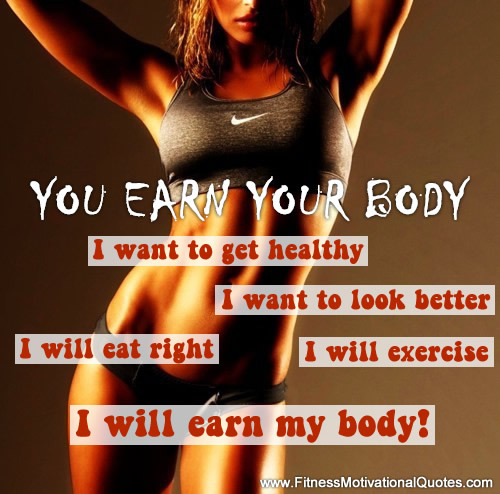 The truth is, if you want a nice body you will have to work for it every single day . There is no magic pill in the world which will make you lose weight. And there is no “luck” involved in getting your best body either. It takes hard work. It takes discipline. You have to eat clean and train hard. Having a fit body tells the world a great deal about the soul inside the skin. A nice body sends a message that you are healthy, in body and mind, and that you nourish your body.